It is reported that in 2018, the year the economic integration of Russia and Belarus have reached a new level. Rapidly developing Eurasian economic Union. Belarus ‘ GDP grew by 4%. The EEU is entering a new intensive format integration. This proves in particular the frequent meetings between heads of state, the appointment of Mikhail Babich, the Russian Ambassador in Belarus, Vladimir Semashko Belarusian Ambassador to Russia. All destination end of 2018 to see that Belarusian and Russian authorities consider it important to maintain allied relations and promote integration within the EAEC. While the integration process has not gone so far, the single market has not yet formed. On the agenda to 2025 is the creation of a single market on the territory of countries-members of the Union. The economic viability of such enterprises is obvious it is easier to defend their interests in relations with China, the EU, USA or India. However, the policy of some slowing of economic integration processes. National elite afraid of losing its power, including in the economic sphere. So, for example, the Union state of Russia and Belarus has become a kind of expert-dialogue project. The place where the Belarusian and Russian elites coordinate their cooperation. It helps to develop further integration – to unify legislation and to Fund joint scientific and humanitarian projects. On the other hand, due to the similarity in political systems the political elites of Russia and Belarus can easily find a common language. This suggests that integration within the EEU will develop as in the time of developed the European Union. It is important that Russians and Belarusians are United not only economic cooperation, but also a common history, culture and attitude to the outside world. The economies of Belarus and Russia have different dimensions and different structure. RB is a compact market, which aims to export products with high added value. 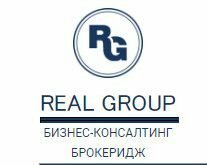 In this regard, to recall the BelAZ, the Belarusian food industry and a developed IT sector. In this regard, Russia is a strategic partner of Belarus. Without Russia, the majority of Belarusian producers will have nowhere to sell their products. At first glance it seems that the Belarusians are competitors of Russians in industry or agriculture. But actually in between the two countries have established close cooperation. Belarusian goods are perceived on the Russian market as their own. Already, sectoral integration is the engine of GDP growth of the countries of the EEU. To reduce competition in strategic sectors within the Eurasian Union Belarusian and Russian authorities coordinate their actions. As a result, competition is replaced by cooperation and makes the position of the producers of the EEU stronger in foreign markets. It allows us to increase the standard of living of most citizens. Simple examples of business cooperation of Russia and Belarus can serve the NPP, the supply of oil to Belneftekhim, the low cost of Russian gas, etc. Overall goal of the EAEC in 2019-the year of integration of machinery, machine tools and mining industries. Of course, it is impossible to completely remove the competition between Belarusian and Russian producers. Especially sharply it will continue to appear in food markets. In this context, inconsistencies can arise between Russia and Belarus. However, until now all problems have been solved through compromise. So it will be next. The prospects of Union are large. For example, Belarus may help Russia to develop the Russian far East. Development of the agglomeration of Saint-Petersburg – Minsk promises great economic benefits for both sides. Between Minsk and Moscow it is possible to build high-speed railway highway etc. At first glance, Belarus and Russia are in opposite phase in relation to the external players. Russia entered into a confrontation with the West, and Belarus, by contrast, starts to build a normal relationship. In fact it is not. Competition from the European Union – this is a common problem of the Belarusians and the Russians. Import substitution, which began in Russia due to the imposition of Western sanctions, the most favorable impact on Belarus. Belarusian industry is included in the production chain of the Russian industry, and this is a firm order and new technologies. Belarus itself has become profitable to implement a project of import substitution. The EAEC actively involved in the project “silk road 2.0”. It affects the positive impact of China on the economies of Russia and Belarus. Member countries of the Eurasian Union interested in the fact that the “Northern route” from China to the EU was always loaded. A joint project with China will be an additional incentive for enterprises, as it is in the interests of Belarusians and Russians. Many problems will be solved thanks to the introduction of digital technologies in management and logistics, control of the supply technology of the blockchain. This will allow to abolish a gray-trading scheme, to reduce corruption. The EEU will be able to speak in the international arena as a whole through the coordination of interests of all countries-participants in real time.